Open, public meeting, everyone welcome. Find out why our application to the council has been delayed for so long. Hear about our meeting with Sir Richard Leese, Manchester City Council Leader. 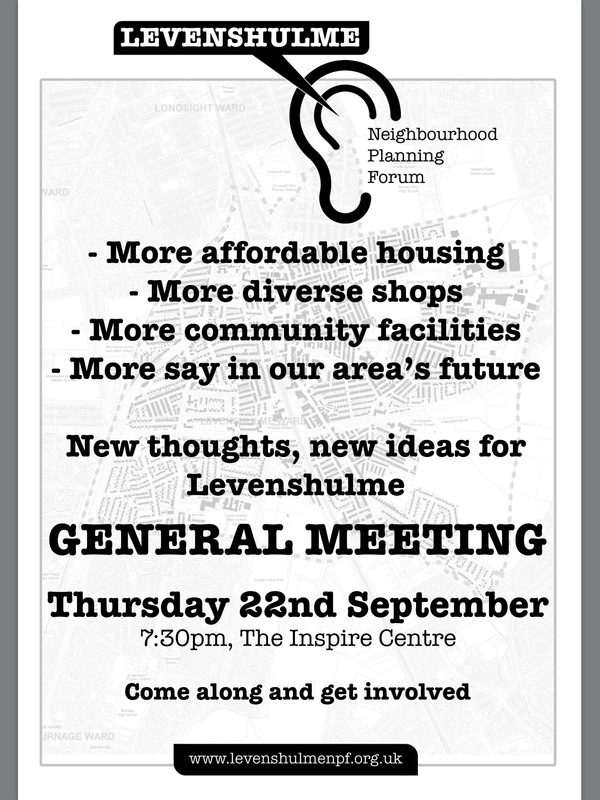 Raise any issues you have on themes for the group to address in Levenshulme. This entry was posted in community, manchester city council, meetings, Neighbourhood Planning Forum, Planning by Jeremy Hoad. Bookmark the permalink.